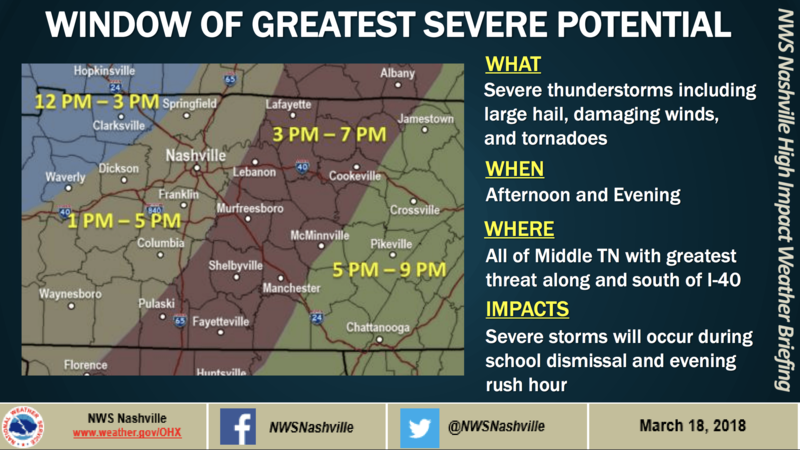 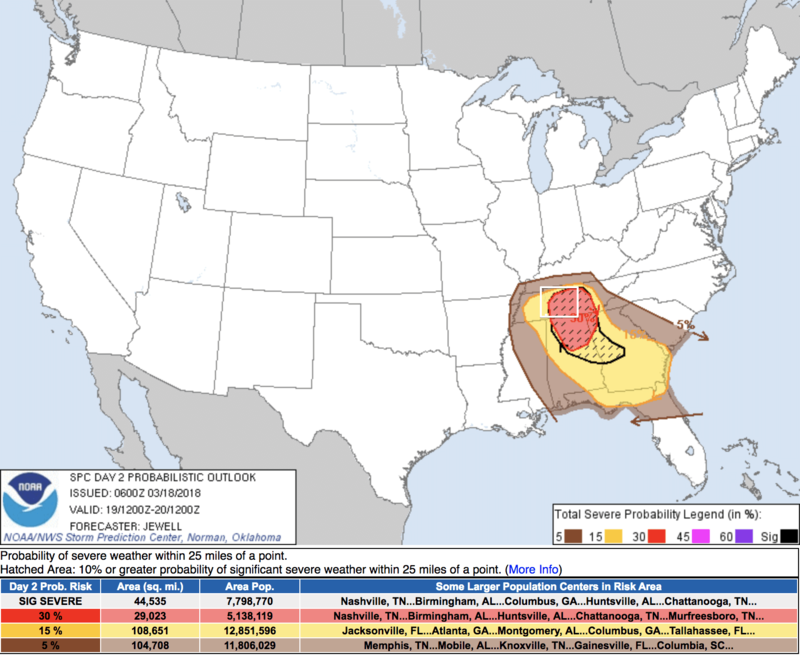 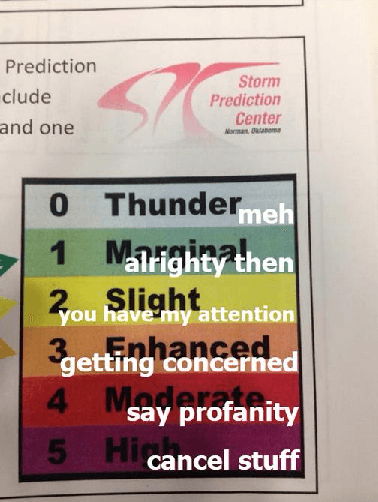 Our local NWSNashville is stating that the greatest threat of severe weather will be along and south of I-40. 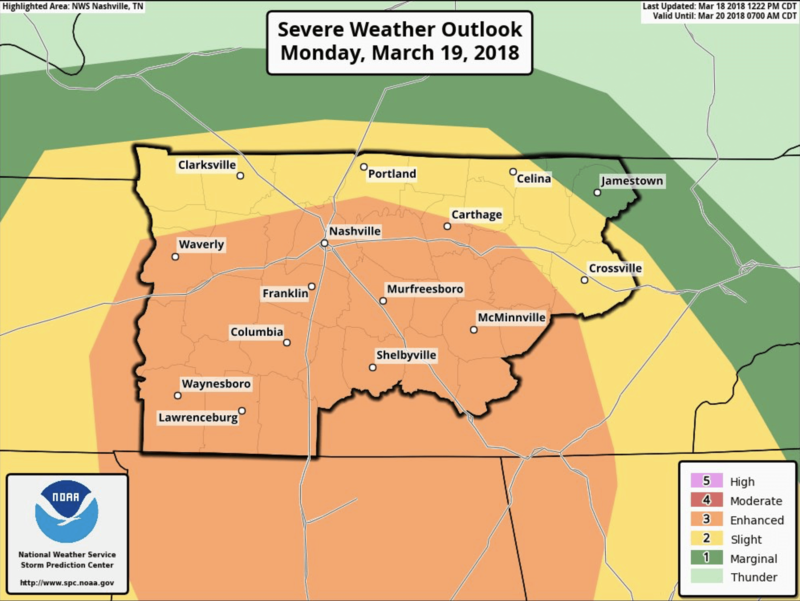 That won’t mean we can’t see a severe storm come through the county, but that the chance of seeing one is greater south of us. 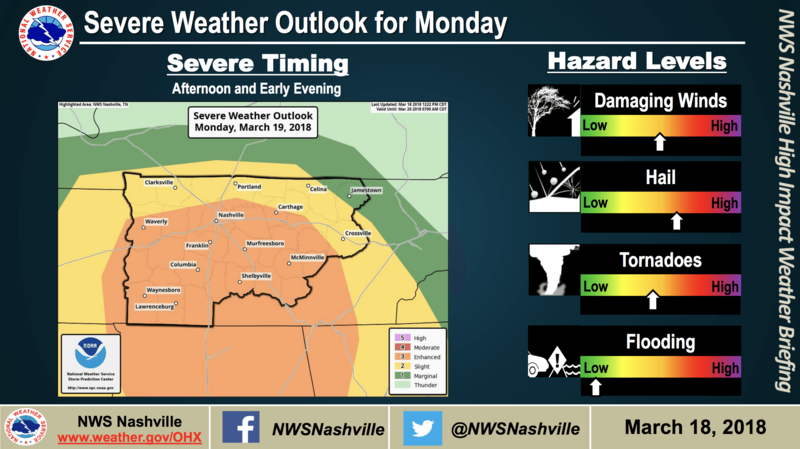 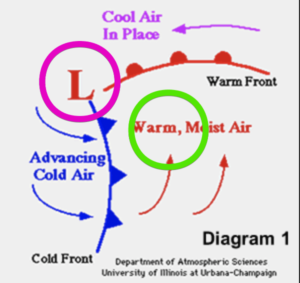 Always have multiple ways to get weather alerts and your weather info. 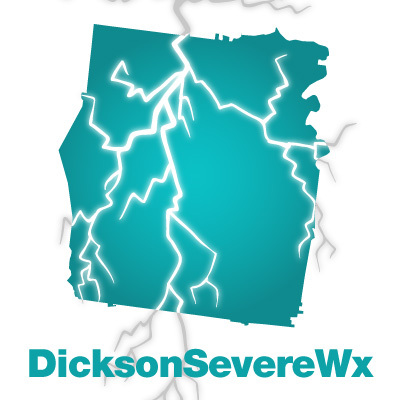 Follow me @DicksonSevereWx on Twitter, but also have another source of info (at any time I could lose power, lose internet, be put in Twitter jail for tweeting too much, or have to take cover myself).